SNAIL :: View topic - Two carbs in 2CV - how to? Two carbs in 2CV - how to? 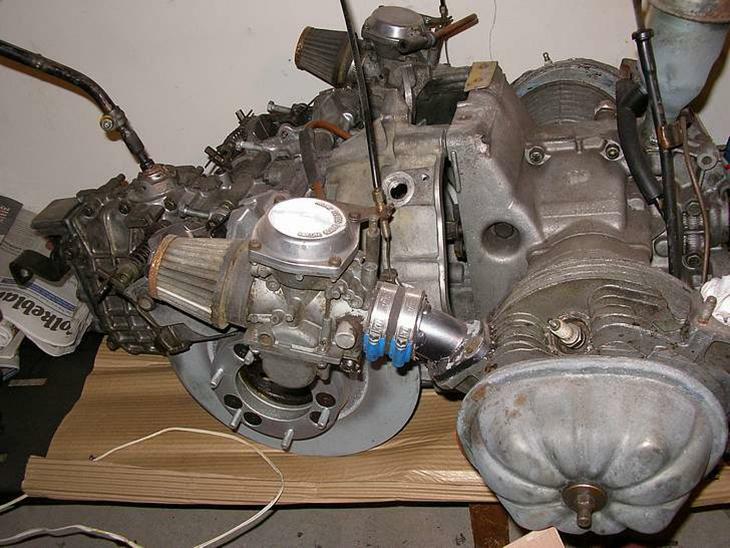 Posted: Sat Feb 21, 2015 7:50 pm Post subject: Two carbs in 2CV - how to? I'm shure I have seen a picture of an engine with two carbs. Can't remember if it was here. Any experince with some specific carbs? And is it worth the effort? I think the twin carb pic was Lars' car before in went turbo? the pics seem to be lost. A friend in the UK had 2 Dellorto carbs on his 2cv. The pictures in his topic are gone though. I was inspired when I got my drivers licence for MC. Not my engine. Pictures from the net. 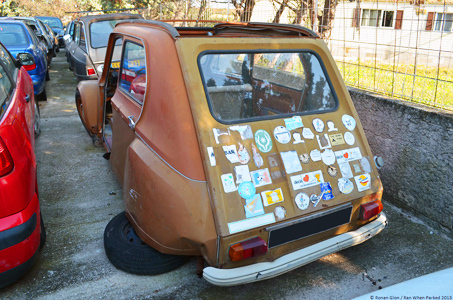 Posted: Sun Mar 08, 2015 10:01 pm Post subject: Two carbs in 2CV - how to? I found the pictures of the "airplane engine" too. What carbs did you use? Geatan did it as well. Mine is Mikuni from a 2 cylindert Japanese motor bike on 400-500cc and 40 hp . he drove it for 1 summer, then took off the carbs, his complete front steeringsetup, kingpins, driveshafts etc were ruined. and gasmilage was only half what he had on the original Solex carb. 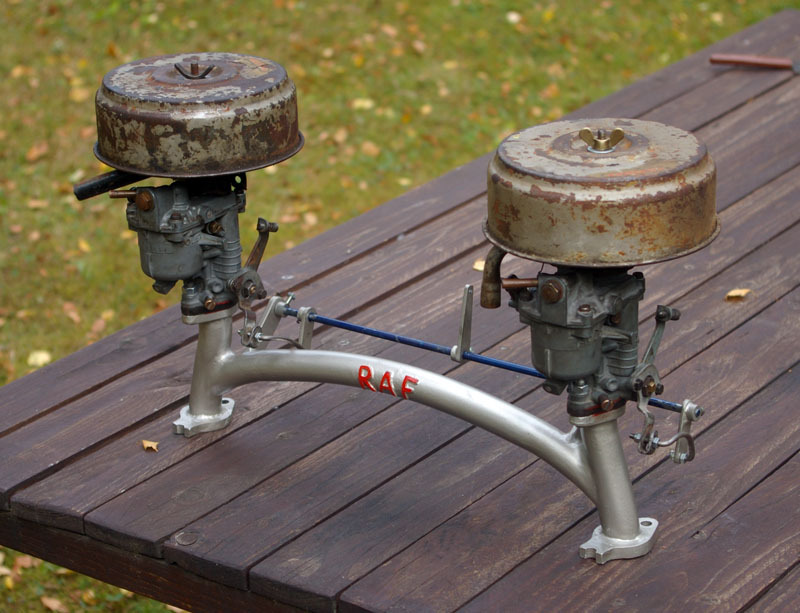 on top speed/ higher RPM range there was not much difference compared to the Solex carb, only on low rpm's it was really fast. if it is worth it? up to you. I'm going to try with double SU HS2 carb (32 mm also on Visa engine). Then his front suspension not have been good from the start. Posted a pic of a dual carb setup on the Barbot topic. 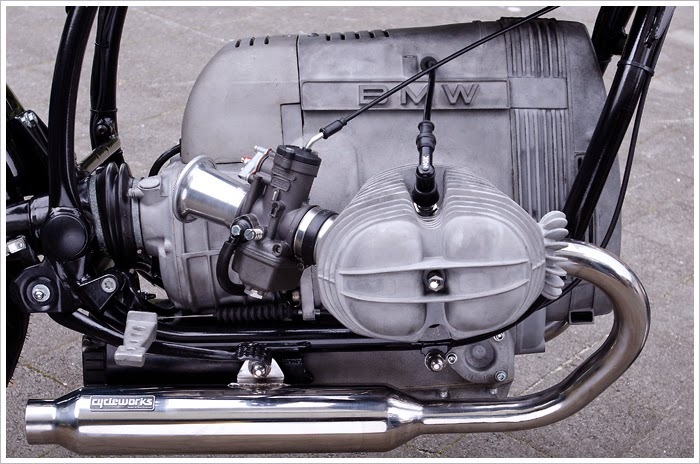 Carbs are mounted on short studs/manifolds. Keep as a golden rule that a short intake manifold gives you more HP on higher revs, a longer intake manifold gives more bottom power. Too long gives bad throttle response. Second keep in mind that a narrow sized intake manifold allows for greater airspeed, thus enforcing a better mixture. Thanks for that link that's quite interesting to play with! It is all a matter of balance..
Or ask Philip van Gool (VGS).... he knows a lot and is a brilliant engineer on 2cv engines.